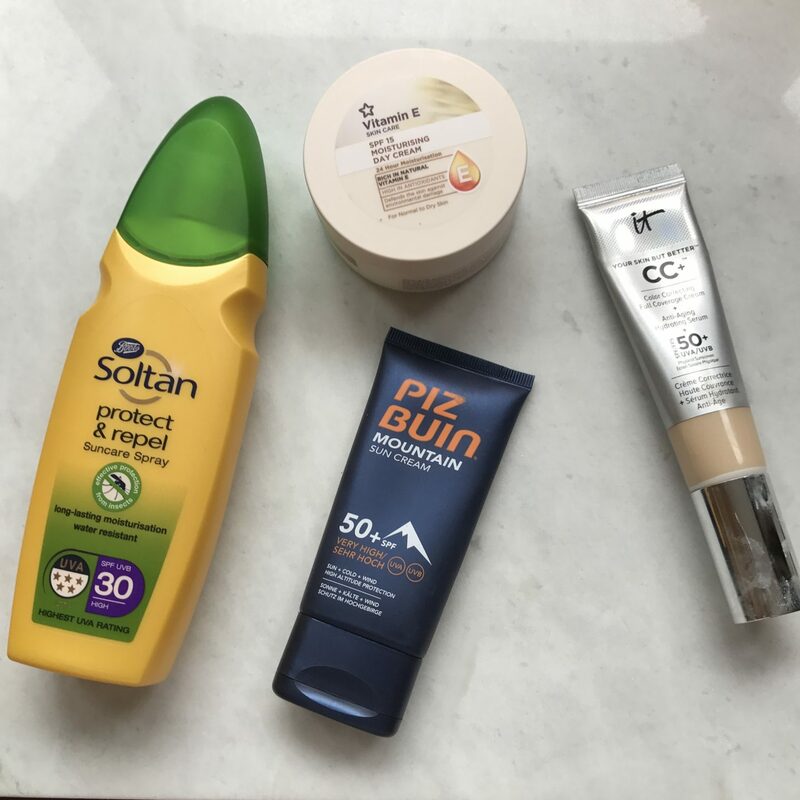 Okay so if you live in the UK you may be wondering why I have chosen to publish a blog post on Sun Protection on a very miserable day. The truth is we’ve just had yet more lovely weather and I even caught the sun a little bit whilst hanging around in the park the other day. 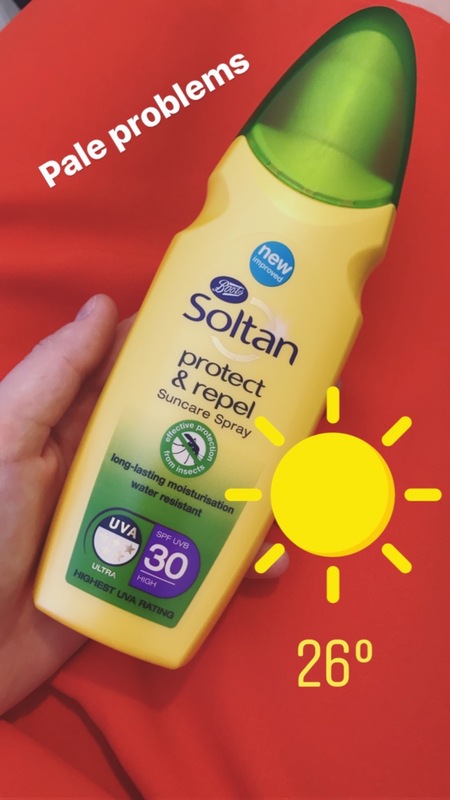 Today I thought I’d give a quick guide to SPF, what to look for and generally just give you all a little nudge to wear your suncream.Also, my boyfriend, who, I must add, has Ginger hair and Pale skin, has just returned from his holiday to Spain, with sunburn to bad he is in pain, so I thought I would try to spare the rest of you from the same fate. Firstly, just because it isn’t super sunny and 30 degrees, doesn’t mean your skin can’t be sun damaged, 70-80% of the sun’s rays still pass through the clouds and onto our skin. This is the most common reason people’s skin starts to age, become broken, delicate, leathery looking or even in the worst case scenario, develop skin cancer. The basic moral of this story is, the sun can always get you, no matter how cloudy it is. So SPF stands for Sun Protection Factor and can range from around Factor 4 (basically no protection) to 100 (if you live in Australia). Here in the UK the highest Factor is usually 50 and it tends to be what we cover children in but not ourselves. I don’t know what it is about us Brits, but we seem to lose all common sense when we go abroad and think we are invincible to the sun. I mean don’t get me wrong, I’m pale with fair hair, I hardly tan and always burn without suncream so I’m pretty good at keeping the old suncream topped up but that doesn’t mean everyone does. Whilst I was the kid wearing a T-Shirt in the pool to stop my shoulders from burning up until age 15, there were many people by the pool covered in tanning oil with little SPF to fry their skin to get a good tan. Even on a mild day in England I still need the suncream. One of the most important things is to know your skin, if you know you’re prone to burning you will need a higher factor, I use 30 in England and 50 abroad, if you have much darker skin and tend to tan, you still need SPF, but you could probably afford to go down to a 15 or 20 if you really wanted to, although I would still stick at 30 to be safe. 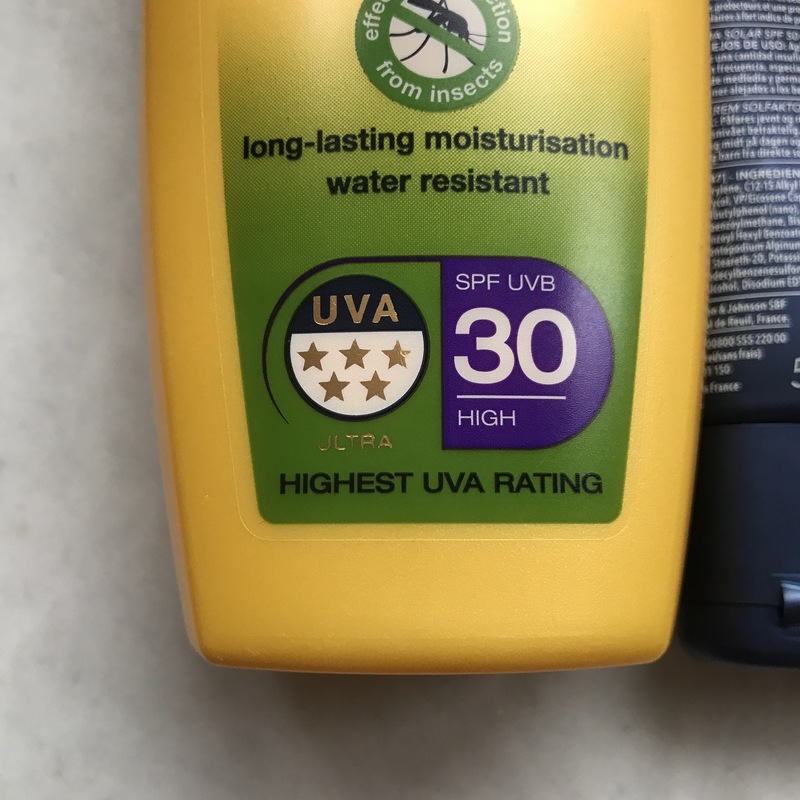 Another important thing to consider when choosing a Suncream is the UVA and UVB protection, you need protection from both types of the sun’s rays, in the UK, each suncream is graded by a 5 star system. You should aim for 5 star rating to be sure you are getting maximum coverage, you’d be surprised how many brands score as low as 2 or 3- just something to consider whilst shopping. Whatever you choose to use, it is recommended that you reapply up to every 2 hours if its hot, and you should still aim to keep out of the sun at the hottest part of the day (around 12-3) to reduce the risk of sun damage. 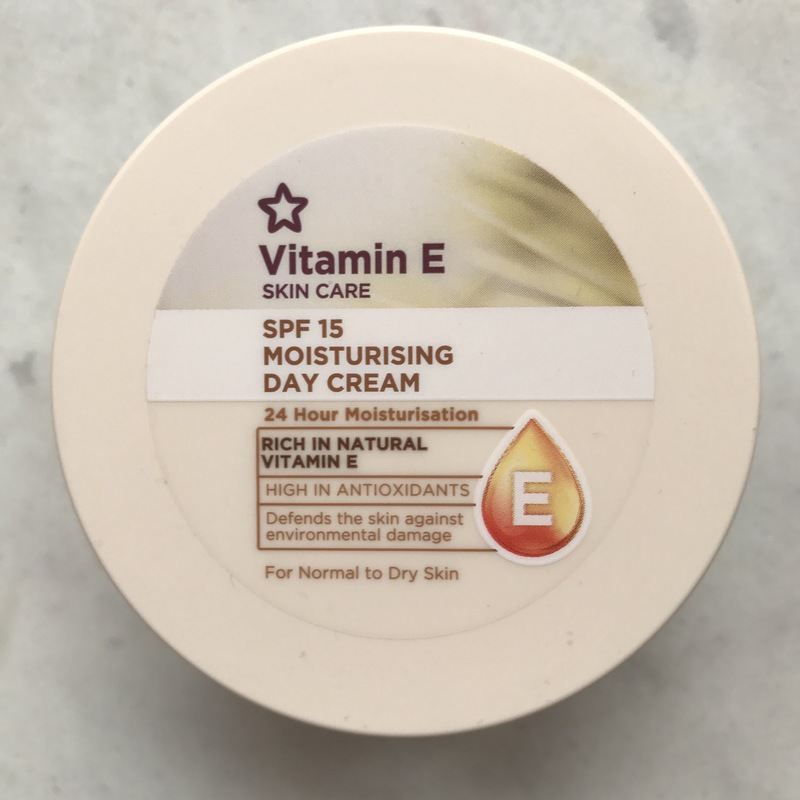 There are also different forms of suncream, the bog standard suncream bottle, sprays, mists, lotions, there are SPF lip balms- which I would also highly recommend, SPF’s in your daily moisturiser or even your makeup! 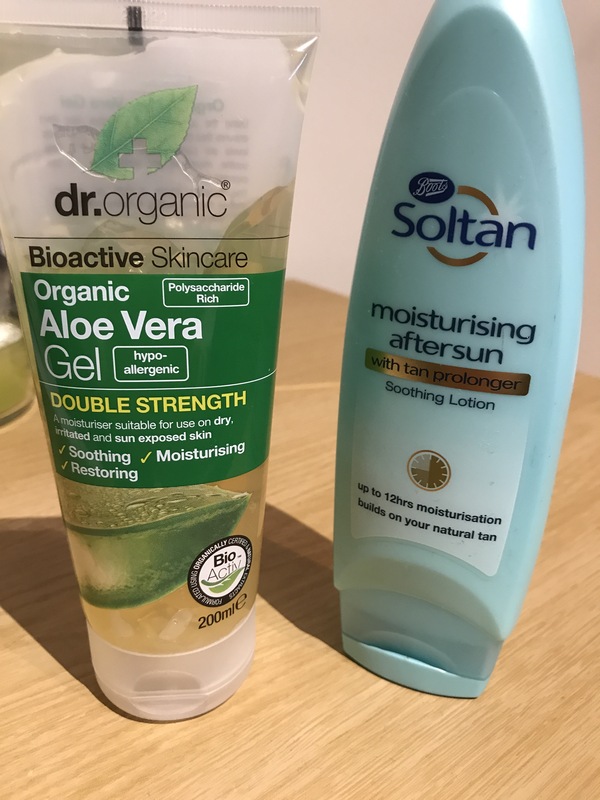 So even though I didn’t wear a standard suncream on my face every day, I always made sure I has SPF on, and I didn’t burn at all, despite how hot it was. There are also so many more on top of what I just listed, for example when I went Skiing, I used a specifically tailored Mountain SPF, designed for use at higher altitudes, where you are even more exposed than usual. Personally I would avoid using Suncreams which you only apply once, if I did use them, I would definitely top it up through the day, I also don’t like invisible sprays incase I miss any patches of skin. I prefer a creamy spray, which you can see easily and also keeps the skin moisturised. I also like them to be waterproof if I’m on holiday as I know I like to be in and out of the pool- this is especially important to consider with children who will literally sit in the sea all day if given their own way. 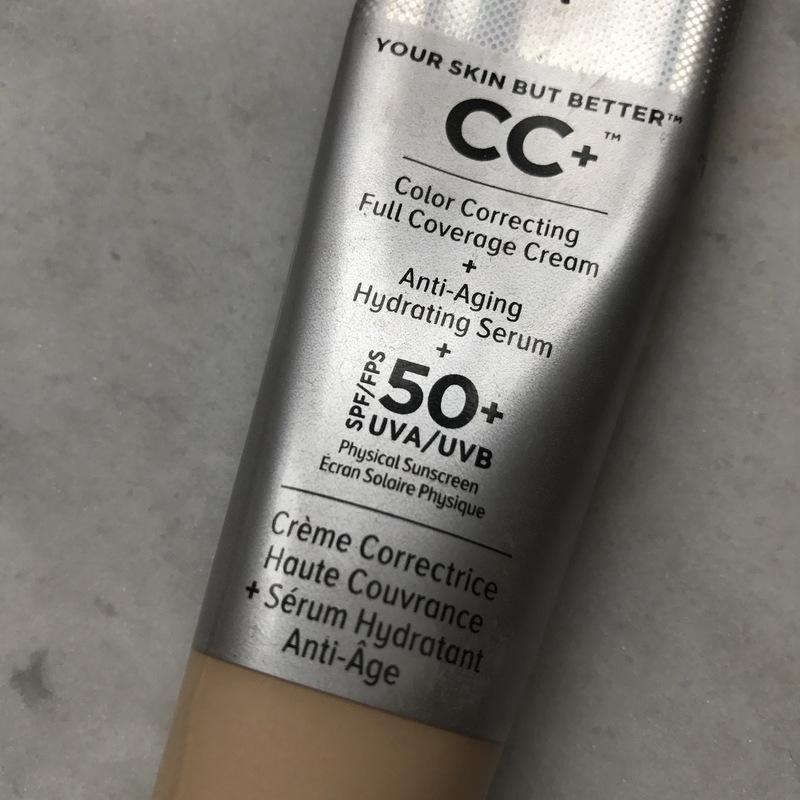 Even when I’m not on holiday, here in rainy England, like I say I still use a daily moisturiser or makeup with some form of SPF in, the standard for makeup seems to be around SPF 15 in many tinted moisturisers or foundations, so the Factor 50 in the IT Cosmetics one is amazing! A final word, don’t forget to aftersun! Even if you aren’t burnt, you need to aftersun to keep your skin hydrated, if you are burnt, it will help relieve the stinging and tightness of the damaged area. There are many to choose from including, tan prolonging, those including insect repellent for tropical climates, those with aloe vera for cooling, the list goes on. If your burns are really bad, like Josh’s, you could use actual Aloe Vera Gel to cool and soothe the burn, it’s completely natural and helps to draw out the heat. Wear some form of SPF everyday, even if its not sunny. Reapply SPF as frequently as every 2 hours/ after being in water when its hot. Choose an SPF that’s right for you. Keep out of the sun between 12-3pm. Hopefully this has been useful, or at least given you a nudge in the right direction before you head doff on holiday or out into the beer gardens at home!